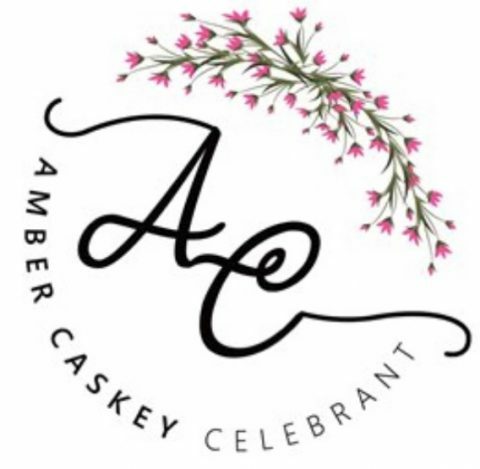 I am Amber Caskey, an independent Marriage Celebrant in beautiful New Plymouth and servicing the greater Taranaki region of New Zealand. I am fortunate to work as a full-time Celebrant and in past 4 years I have worked with many couples and families, in a variety of officiating roles. In 2018 I was delighted to be announced as the the Taranaki Wedding Celebrant of the Year. So – a bit about me personally! I became a Celebrant to provide a fresher, modern alternative to the traditional celebrancy services that were available. Many skills I have transferred from my professional life to my officiating work, while I raise my young family. My professional background includes banking and finance, event planning and various people-management positions. Throughout my career I have also had opportunities to undertake professional media training. As such, I am a confident public speaker with highly developed writing and communication skills. I have learned so much along the way! I love weddings and everything about them, and my own life experiences have allowed me an open minded, empathetic and culturally sensitive approach. I understand that every couple has a different story, family relationships and culture to consider. But ultimately, love is love, and ALL love is welcome. I bring a contemporary approach with absolute attention to detail to every wedding I perform. As a younger celebrant, I am collaborative so whatever ideas, guidance or suggestions you need, rest assured that I can offer you great advice. From the first meeting to my follow-up after your big day, you will be in very good hands with someone that genuinely loves her job. In a nutshell – I will make the process enjoyable, simplified and hassle free. Please contact me at any time to see if I am available on the day of your wedding, or special occasion. Let’s arrange a meeting, or even chat on FaceTime/Skype so you can be sure I’m the right person to create your ceremony. Click here to read what clients have said about me!